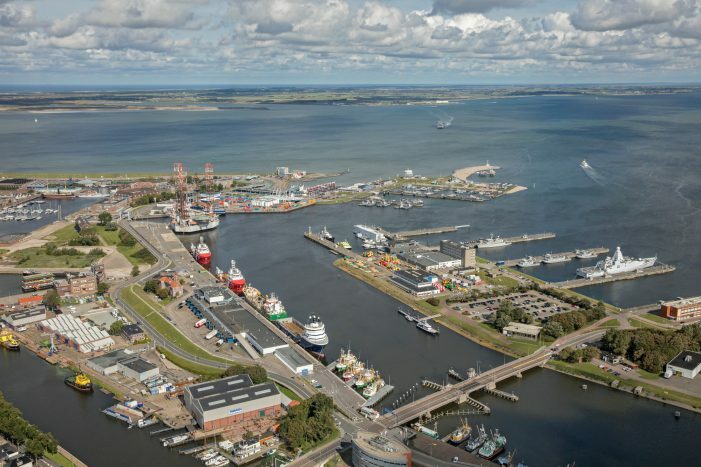 The international seaport of Den Helder offers a wealth of space and possibilities. 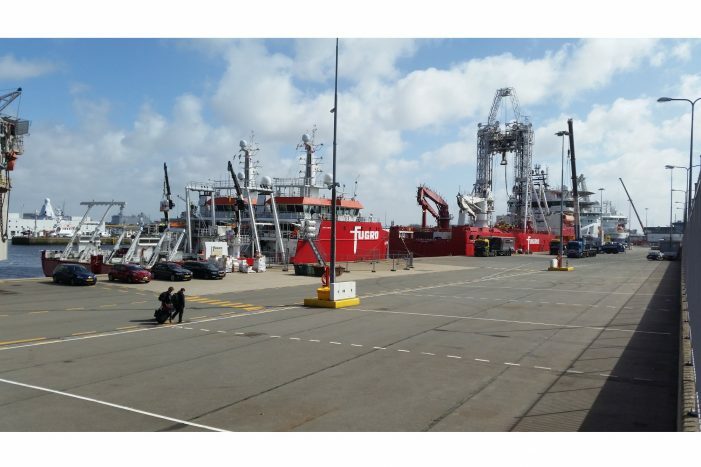 It is the home base for a growing number of offshore-related businesses, and homeport for the fleet of the Royal Dutch Navy, as well as a large fishing fleet and a modern fish auction. The extremely favourable geographical location offers a wide range of possibilities for (water-related) businesses. The broad selection of civilian and maritime enterprises means the location offers more than merely business opportunities. Knowledge institutes, research organisations and education centres have all found their way to Den Helder. 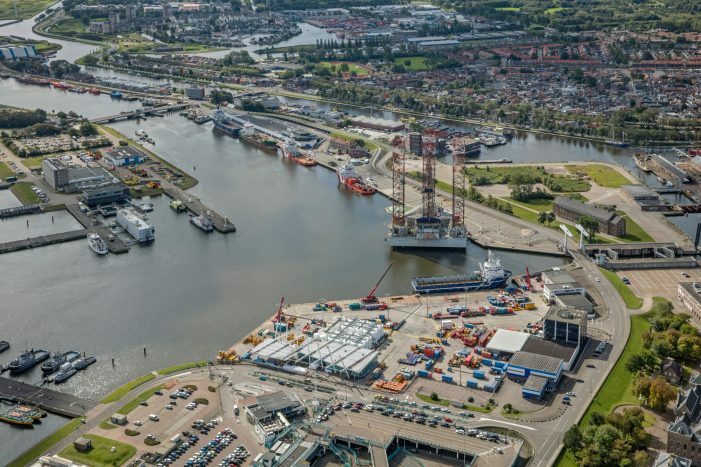 Port of Den Helder is aware of her socio-economic responsibility as the manager of an important port area. The port is also aware of the location, at the edge of the Wadden Sea, a reserve of outstanding natural values, nominated on the world heritage site. Kooyhaven is a brand new inner harbour, that was added to Port of Den Helder’s areal in spring 2017. 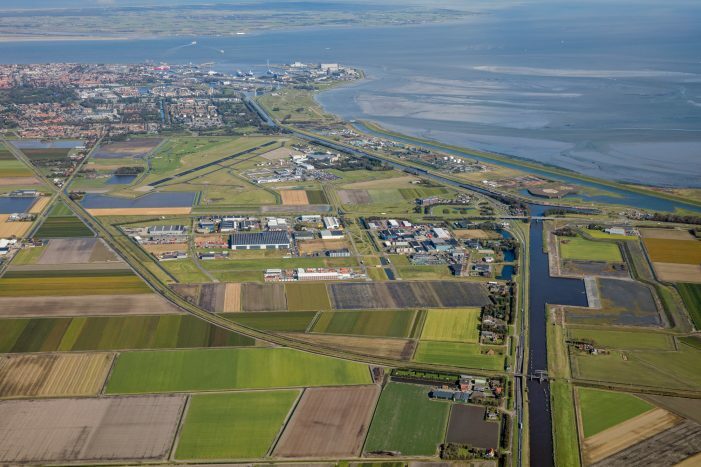 Kooyhaven forms an extension to the seaport, which will faciltate more logistic port activities and thus will provide a positive socio-economic impuls to the region of North Holland. Kooyhaven is a valuable add-on to the compact space areal in the open seaport. 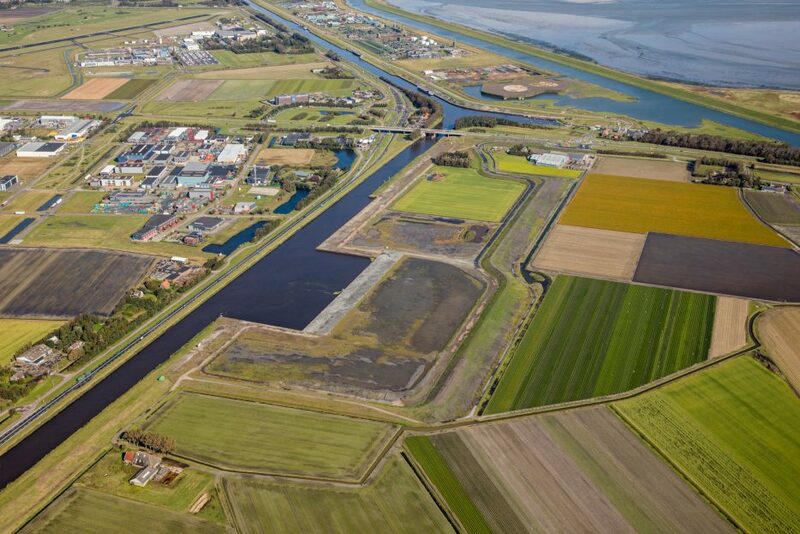 The function of this inner port is to provide a logistic hub, from which stores can be distributed to Den Helder’s seaport over water. Thus a significant reduction of polluting truck traffic by road is foreseen. Kooyhaven is developed against high and modern standards, in order to achieve the smallest footprint in both environment and the open landscape. The site encompasses a green slope that strengthens the morphology of the landscape and that is fitted for ecosystem servicesand recreational functions. The use of led light, a separate sewersystem, shore power facilities and the green slope are examples of modern technologies and design standards that contribute to landscape integration and to the reduction of energy consumption, light pollution and noise emission.